We have seen this used in lots of films and TV shows, from Hero and Gone Girl to the X Files and Garfield and Friends, and often the use is to shift blame or take credit, but I think it is fun to show how two different characters see an event and choose what they focus their attention on. You walk into someone’s living room and you might notice the interior decoration, but I am going to notice the absence or presence of books and what genres the owner reads. So in theory, if I have written a scene from the point of view of an American interior decorator and I change the pov to that of a Japanese businessman, the whole scene should change. “Rashomon Effect.” Wikipedia. 24 March 2015. Web. 19 April 2015. 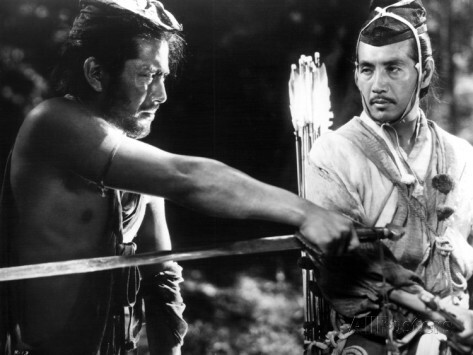 This entry was posted in experimentation, story and tagged Akira Kurasawa, point of view, Rashomon, Rashomon Effect. This reminds me of the “parallax view,” which was also an interesting movie as well. I shoulda known you would have a shelleyism for this too! Just go to a family reunion and listen to several versions of the “same” story. Yep. This is another reason eye-witnesses are so unreliable as to facts in a courtroom trial, even though they are convincing to the jury. However, the effect (pov) offers so many rich and inviting possibilities for the writer or storyteller! !